In the final part of this four-part series, we examine the fourth element an employer must establish to successfully raise the “unpreventable employee misconduct” affirmative defense in response to an OSHA citation: that the employer effectively enforces its safety rules upon discovering any violations. Simply stated, this last element requires that an employer discipline its employees for violating any company safety rules. As with the other elements of this affirmative defense, documentation is critical. The fourth element of this defense goes to the very core of the “unpreventable” aspect of the defense. This is so because by disciplining an employee for violating a safety rule, the violation is less likely to occur again in the future. At the same time, the failure to enforce the rule after discovering a violation will not prevent it from being violated on future occasions. Also, documenting any such disciplinary actions is critical because it indicates first, that employees are being supervised and second, that the company safety rules are being enforced. The initial documentation to support this fourth element must begin with a written disciplinary program. The program can include measures in the form of oral or written reprimands, suspensions, and/or termination. However, any verbal warnings given to employees must be documented. There should also be progressive levels of disciplinary action designed to deter future violations. For example, a written reprimand to suspension to termination should be in place, depending upon the severity of the violation and depending upon the disciplinary record of the employee involved. This disciplinary policy must be communicated clearly and effectively. Disciplinary rules should be put in writing and distributed to employees. 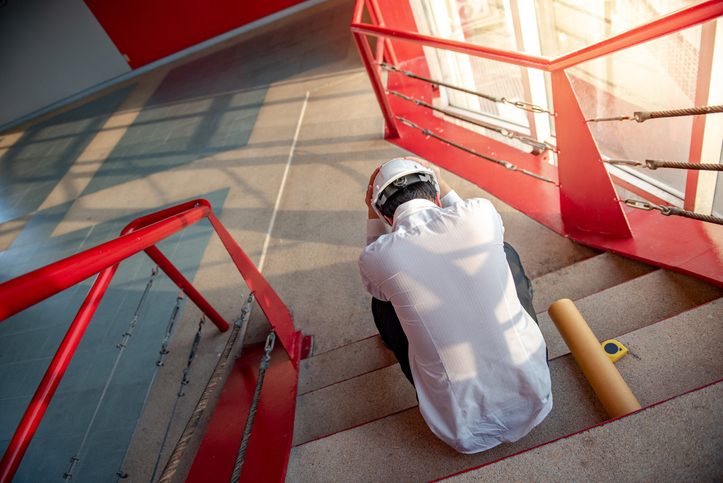 Documenting any safety violations will not only put you in a better position to defend your company from any OSHA citations, but will also help you create a safer work environment for employees. An employer must also be in position to demonstrate that it enforced its policies consistently and promptly after discovering any violations. It is not too much to say (unfortunately) that workplace safety violations may be known by management but nevertheless allowed to proceed. An employer can refute any such notion in any particular case, however, by creating, enforcing, and documenting a progressive disciplinary program. By doing so, an employer will also be in position to establish the fourth element of the unpreventable employee misconduct defense.